If you work in law enforcement, you need a bulletproof vest to protect you on your job. Usually the police departments issues the body armor you required to perform your duties. Many of the issued ballistic vests used by another officer. Unfortunately you can’t examine the ballistic materiel itself to see its real condition. You cannot know how your body armor was handled and cared for in the past by the other officers. A new body armor gear as the bullet proof vests are always inspected by the manufacturer. And comes with guarantee that it will protect in time of need. In certain cases the police officers prefer to buy new bulletproof vest even if they were issued with one. To be confident that a new bulletproof vest will perform as it expected to. Usually police work requires only soft armor with level IIIA protection that provides protection against handguns as 9mm and .44 calibers. In certain cases the policemen can be involved in more dangerous situations than a soldier that serve outside its country’s borders. Although female bulletproof vests usually not past from person to person as they need to fit the body shape, the bullet proof vest for men can be passed from one cop to another. Before buying your body armor you need to make sure it will blend with your uniform and it be approved by the police department for its ballistic protection, shape and color. Very important not to buy something that look good only to show off to other cops in your squad, as in this case because of regulations you may be forbidden to use it, as usually law enforcement have very strict dress codes. Police officers mostly use overt bulletproof vests. You may order a vest with few pockets to store your cellphone and papers as your writing pad for quick use. After choosing your new bulletproof vest and before actually buying and paying for it, contact your supervisor and show him the visual of the vest to get approval for it before actually paying. In many cases your department will have contracts with different suppliers that will allow you to receive a discount when ordering a vest for your job. You need to make sure you buy the vest with color that you required to. Keep in mind you may order another set of cover to switch it when you want to use the vest in another opportunities, as advantage of having your own bulletproof vest to use it in other occasions as with armor plates. And this may allow you to have one cover for overt use and one covert use. Make sure the vest perfect fit for you, this is important for both cases of overt vests and covert vests. As a police officer especially in tactical team may require to use armor plates as SAPI plates, in this case you should buy a vest with this option. 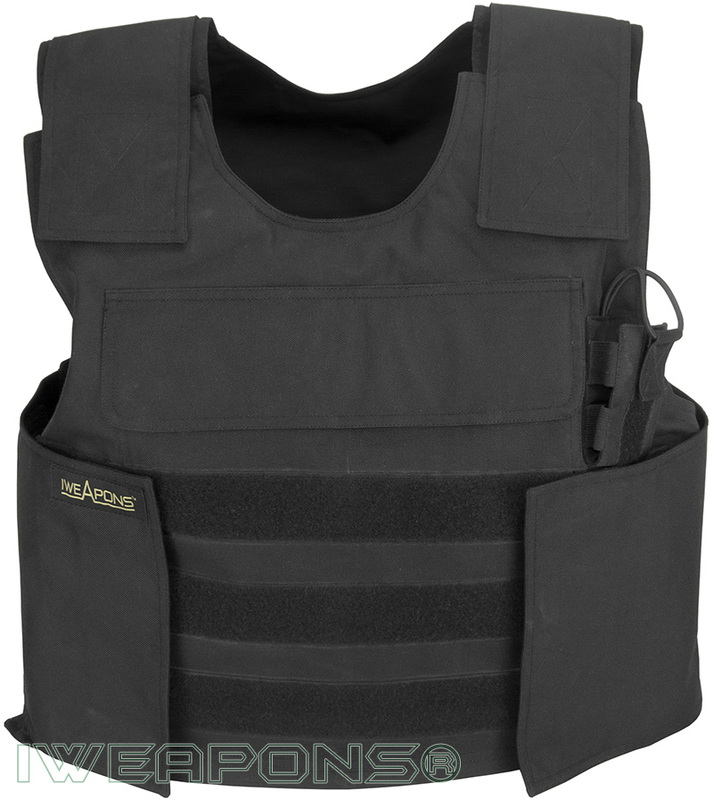 This bullet proof vest comes with XL pockets for armor plates, to have an option to use XL size hard armor plates that support wide area of ballistic protection.